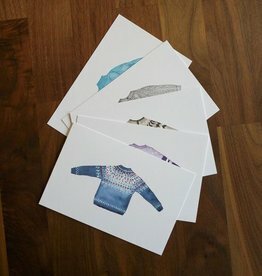 The Sweater Postcard Set from Rowan Morrison Books come in a pack of 5 cards with whimsical watercolor illustrations from Narangkar Glover. 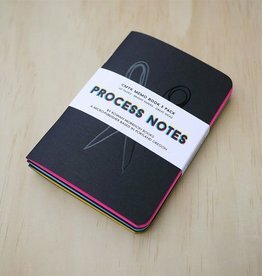 Creativity is all about the process, these process notebooks from Rowan Morrison are just the answer for capturing those creative ideas. Finish off your hand knit gift with an artisan letterpress gift tag from Rowan Morrison Books. The Knitting Icon Letterpress come with tags six per pack.